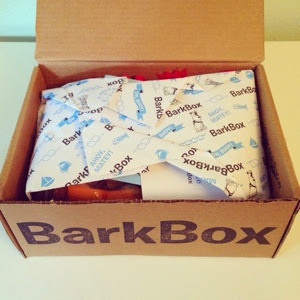 The August Bark Box is here! 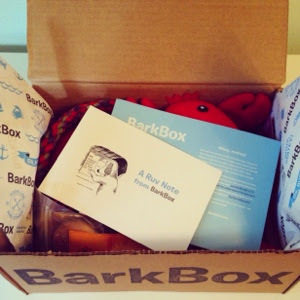 Maple was super enthusiastic about this month's Bark Box. She knocked me over trying to get to Grandma Bowser's Country Oven Bisquits. I think these may be her favorite treats yet. Grandma Bowser's dog biscuits are all natural and made with 100% human grade ingredients. You can read about Grandma Bowser's story here and check out the ingredients here. 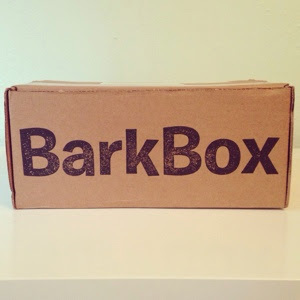 You need to buy these treats for your dog! 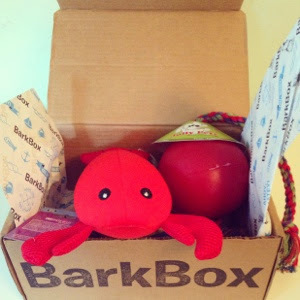 This month's Bark Box also came with Bocce's Bakery Lobster Roll treats. These were a big hit as well, and Maple can't wait to try some of the other flavors at Bocce's Bakery. Bocce's also makes all natural dog treats with human grade ingredients, and they are wheat free! The toys in this month's box were also a big hit. Maple has been playing non-stop with her new Romp-N-Roll Jolly Ball by Jolly Pets. It is incredibly durable and has been Maple's go-to toy for the past few days. Jolly Pets is a great company and they make a ton of different products to choose from. Last, but definitely not least, is the adorable Louie the Lobster. Louie the Lobster is a floating toy, perfect for the pool or bathtub. Petrageous' Louie is made of neoprene. He squeaks, he floats, and he will definitely be along for the ride on our next doggy swim day.